The string of executive resignations followed the publishing of 20,000 emails on Wikileaks more than a week ago. Democratic National Committee communications director Luis Miranda is among the organization’s executives who have resigned after its email scandal. Miranda, DNC chair Debbie Wasserman Schultz, CEO Amy Dacey, and CFO Brad Marshall, have all resigned their positions, according to numerous media reports. Miranda began working as the committee’s communications director last fall. 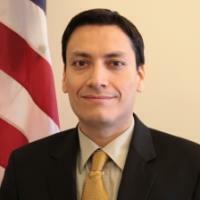 Previously, he was a strategic communications consultant and director of Hispanic media in the Obama administration. He had a previous stint at the DNC in 2006. The wave of resignations took place more than a week after Wikileaks published hacked emails to and from party staffers that appeared to show favoritism towards former Secretary of State Hillary Clinton in the Democratic primaries. The resignations of Dacey, Marshall, and Miranda were announced on Tuesday by the DNC, according to media reports. Wasserman Schultz said on July 24 that she would resign after the end of the Democratic National Convention in Philadelphia, which concluded last Thursday. Interim chairwoman Donna Brazile has said she will hold staffers to a higher standard throughout the rest of the campaign.